Who could have anticipated the comeback wave Nintendo has been sitting on since it launched the Switch? Even for a year with a Wii U loaded port-fest, Nintendo found a lot of success in introducing players to great games they may have missed while filling in the gaps with newer games like Mario Tennis Aces, Octopath Traveller, Super Mario Party, Pokemon and Super Smash Bros Ultimate. However, they can’t rest on the past forever and will need to start filling in the months with more new games. Thankfully, Nintendo has a large variety in the pipeline and I feel that as long as they meet their schedules, Nintendo Switch will have an even stronger year than 2018. To sum up the strategy in a nutshell, Nintendo needs to stick to the script. I use my Switch as a secondary console to my PlayStation 4, and have a great time playing that way. I also like playing a bunch of smaller Switch games in drought periods like July or December. I think Nintendo knows this and capitalises accordingly. In 2018, the PS4 and Xbox One lacked a huge AAA title in the June to July period. Nintendo on the other hand released Mario Tennis Aces, Octopath Traveller, Captain Toad: Treasure Tracker and more, providing something to tide us over until the busy September to November period. Nintendo did the same with Splatoon 2 in 2017 and has enjoyed immense success since. Nintendo are making a good start already in 2019. Before the heavy hitters of January like Kingdom Hearts 3 and Resident Evil 2, Nintendo has snuck in with New Super Mario Bros. U Deluxe and Travis Strikes Again: No Mo Heroes to provide that fun little distraction before the meatier stuff arrives. I feel there is this nice rhythm going where I would play a few smaller Nintendo games or indies on the Switch then alternate to a game on PS4 that is larger in scope that might take me a couple weeks to clear. It’s not just the quiet months, but Nintendo need to fill in almost every other month in the calendar year with something worth talking about. By consolidating their handheld and home console teams they’ve been able to achieve this at a much higher frequency than their previous home consoles. If you include enhanced ports, Nintendo had a major game launch almost every month since launch and that frequency isn’t looking like it’ll slow down this year. I have already stated how New Super Mario Bros. U Deluxe and Travis Strikes Again: No Mo Heroes have taken up the January slots, but players can also look forward to a new Yoshi, Fire Emblem, Bayonetta 3, Pokémon, Luigi’s Mansion 3 and Animal Crossing (to name a few), assuming they all make it in 2019. Fill the other months in with stuff like Dragon’s Dogma and Nintendo have an impressive line-up that will carry them through the year. I think Nintendo has been smart and calculated with where they release their games in the last couple of years and hopefully that continues in 2019. 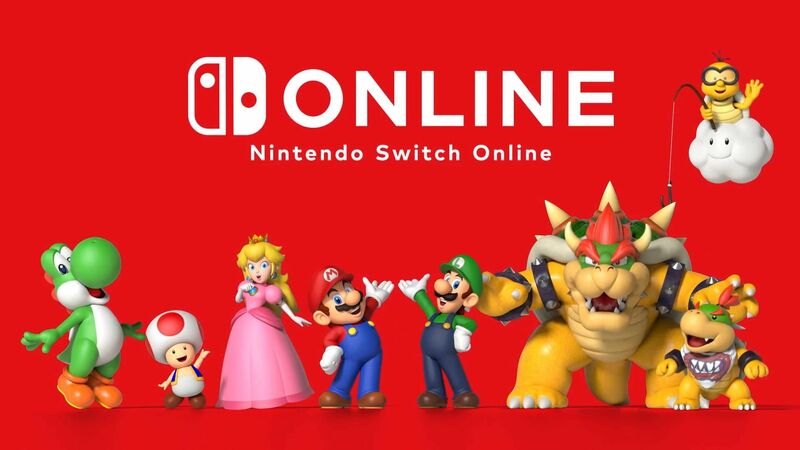 Moreover, this year’s lineup from February onwards doesn’t appear to originate from the Wii U either, meaning there’ll be more fresh experiences going forward. I still expect to see a couple more like Super Mario Maker get revealed a few months from release but that’s just icing on the cake at this point. 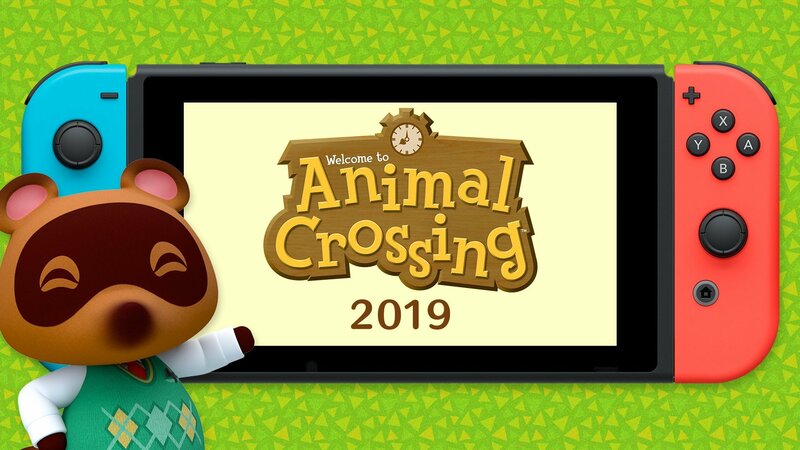 The likes of Animal Crossing and Pokémon will essentially be all new games from our favourite series built from the ground-up for the Switch, which makes this year especially exciting for the console. Again, this will all depend on whether or not all those games will actually release this year. I think a couple are guaranteed to slip through, but Nintendo does have history of revealing games within a year of a release, so expect something like Pikmin 4 to be revealed around E3 to replace the games that do get delayed. As we have seen with the Nintendo 64, Gamecube and Wii U, third party support is incredibly important for the long-term success of a console. The Switch so far has been the best attempt at gathering key third party titles for Nintendo’s hardware since the Super Nintendo. Titles such as Skyrim, Dark Souls, Fortnite and DOOM have received a great response from the industry and it looks like Nintendo might outdo itself this year. Marquee third party titles like DOOM Eternal, Dragon Quest XI and Mortal Kombat 11 have already been confirmed for the system, which really makes a statement to the industry about how Nintendo feels about mature, deeper and darker titles that speak to a certain audience. In addition to this, Nintendo is working with some high profile third party developers to bring the likes of Marvel Ultimate Alliance 3, Bayonetta 3 and the new Shin Megami game exclusively to the system further bolstering the library giving it a more attractive appeal. Fill in the gaps with proven hits like Dragon’s Dogma and classical Final Fantasy titles and the calendar is starting to fill up quite quickly. I also expect we will continue to see more of these types of announcements throughout the year. We’ve talked about the plethora of exciting new first party titles and third party games coming to the Switch, but what about some retro stuff? The lineup so far to Nintendo’s answer for a virtual console has been slightly underwhelming, but I also understand they probably want to build this library up slowly. If rumours are to be believed, Super Nintendo games are planned for the subscription service, which in my opinion, is going to be a lot more popular if or when it drops. Nintendo don’t have to go crazy with releasing classics on the platform, but a nice steady growth of beloved titles sprinkled between the big releases will go a long way. If they can at least launch some SNES games this year, I think that will build a nice momentum going forward. I would much rather play Super Mario World on the go instead of on my SNES Classic.